Algeria protests: Is President Bouteflika staring at a dead end? Algeria's Army Chief of Staff Ahmed Gaed Salah called for the impeachment of President Abdelaziz Bouteflika on the basis that he is unfit for service. Algeria's army chief Lieutenant General Ahmed Gaed Salah has called for activation of Article 102 of the Constitution to remove President Abdelaziz Bouteflika from office. Article 102 allows for the removal of the president if they are unfit for service on medical or other grounds. This echoes demands by popular protests throughout Algeria for the 82-year-old and ailing Bouteflika to step down. The president has been largely absent from the public eye in recent years. Salah's call came a day after Bouteflika sacked the head of Algerian state television. "The only way out of the crisis immediately is the constitutional framework, which is the only guarantee for maintaining the situation," Salah said on Tuesday. "We must adopt a solution that can break the crisis and respond to the legitimate demands of the Algerian people to respect the provisions of the constitution and the continuity of state sovereignty," he said. "It is a solution that would achieve the consensus of visions and be acceptable to all parties, which is the solution provided for in the Constitution in Article 102," he added. Following Salah's call, Algeria's Constitutional Council met to discuss the situation, according to private El Bilad TV. But can the military call for Bouteflika's removal? Algeria's constitution stipulates that the Constitutional Council must unanimously verify "the reality of this impediment by any means, and notify Parliament. Given that the three members of the Constitutional Council are directly appointed by the president, one dissenting vote is enough to block activation of Article 102. The parliament must, in turn, declare the state of the impediment with a two-thirds majority, following which the head of Parliament would take over as acting Head of State for 45 days, while calling for a presidential election. With the military's backing, parliament and the Constitutional Council may be emboldened, or forced to active the article and terminate Bouteflika's Presidency. The Parliament's Upper House Chairman, Abdelkader Bensalah, has already been reportedly taken on the mandate of acting head of state for 45 days, implying that the constitutional process of Bouteflika's removal has already taken place or is a foregone conclusion. More details will be provided as the situation unfolds. Speculation and fears over the Algerian military's intervention were confirmed by a TRT World exclusive three weeks ago through an interview that confirmed the military's preparation for mobilisation. Messoud Laarbi, an Algerian political analyst told TRT World that the Algerian military was on ready alert, with bases close to Algiers ready to deploy. "I've spoken to soldiers stationed in Algiers province, and they've been told to stand-by for immediate deployment. Everyone on leave has been ordered to return. They're citing training exercises, but with the protests going on, the intent is clear," says Laarbi. Will the military be deployed anytime soon? Laarbi doesn't think so. "This regime is remarkably effective at moving in ways that don't trigger public sentiment. In secret and out of sight. They don't need to deploy additional security, because plainclothes officers are already in the crowds. But if protestors don't take appeasement for an answer or lose their momentum, they may have no choice but to declare a state of emergency," he says. It would seem, the military found a constitutional exit that would not jeopardise their public standing. "The military is playing to the public tune," Djallel Bougerra, professor of political science in Constantine University, told TRT World. "The constitutional facade they've used to replace the President ensures more trust in the military, which already enjoys high trust, as it guides the country through the upcoming political transition. Whether in public or in secret, their candidates will be installed where they are needed." 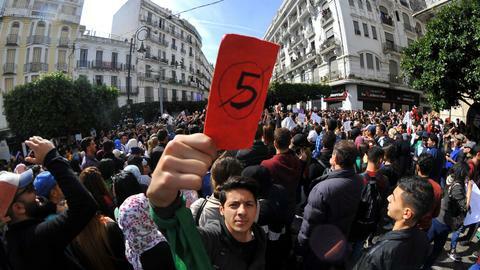 This comes following demonstrations swept across the North African country following ailing President Abdelaziz Bouteflika’s bid for a fifth presidential term, widely seen as an attack on the people’s dignity. The president has rarely been seen since he suffered a stroke in 2013 and is confined to a wheelchair. The 82-year-old’s illness was also no obstacle to his purge of the feared intelligence services and all-powerful military, largely considered a deep state capable of rivalling even the president’s power. But even the protesters were conscious that they may not have a say in Algeria’s future, as they took to the streets in increasing numbers. The country’s future may be determined once more, in a dark repeat of history, by the Algerian National Army. 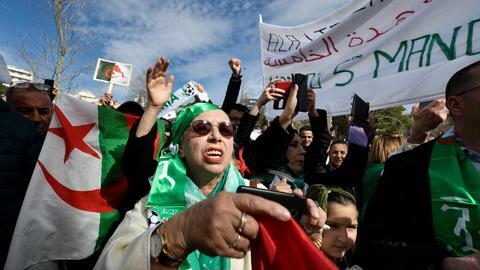 Algeria is no stranger to protests. In 2014, mass protests swept the country, as Bouteflika ran for his fourth term, which he won with more than 80 percent of the vote. The president went on to survive the popular Arab uprisings that took Algeria’s neighbours by storm in 2011. This was largely due to vivid memories of the Black Decade, a brutal civil war that saw a coup d’etat wrest control from the Islamic Salvation Front, winners of the first multi-party election held in Algeria in 1991. 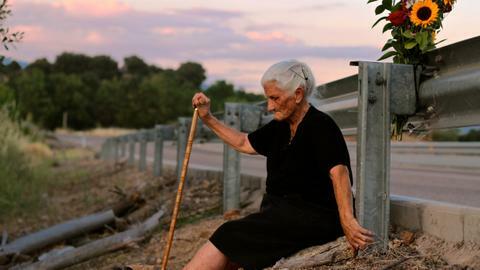 Children born during the beginning of the civil war are now in their 20s, and only have faint memories or stories and the propagated party-line of the vicious fighting that left 200,000 dead, and countless thousands missing. As speculation ensues over the Algerian military’s next actions against the Algerian presidency, one thing is certain: the military of the Black Decade is no longer the military of today. In late August 2018, four of Algeria's six regional military commanders were dismissed, a move that came after the sacking of the military police chief and five of the gendarmerie’s six regional commanders, following another far-reaching purge in July that brought about the removal of the country's most important military and security leaders. Only two years earlier, Bouteflika arrested Algeria’s most powerful intelligence chief, intelligence chief General Mohamed Mediene, known as ‘The God of Algeria’ or 'Toufik', after 25 years as its undisputed leader. Mediene was trained by the Soviet KGB in the 1960s, and is said to have been one of the longest-serving secret service heads in the world. 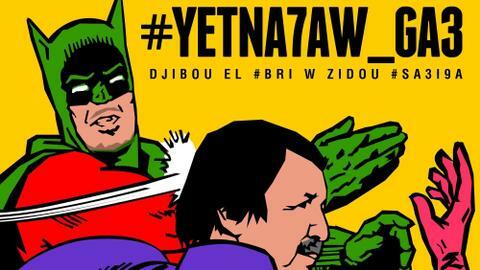 Following his arrest, Bouteflika went on to dismantle the Department of Intelligence and Security (DRS) formerly headed by ‘The God of Algeria’ that had grown into a sprawling secret force. Bouteflika replaced the DRS with a new body loyal to him called the CSS, led by a retired general. So who was the last man standing? Chief of Staff Ahmed Gaid Salah, a staunch Bouteflika loyalist and the last vestige of the revolution’s old guard, commands the full strength of the Algerian military. The very same man who called for Bouteflika's removal from power based on Article 102 of Algeria's constitution. 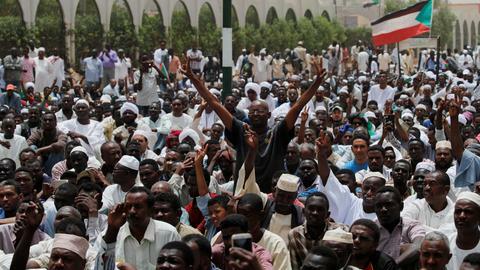 Gaid Salah had already hinted at the military’s possible intervention to confront protests if they get out of hand, amidst fears that any intervention could spark conflict and outright civil war. Speaking at Shirshal Military Academy, only a two-hour drive from the Algerian capital engulfed in popular protests, he told military leaders and officer cadets that the Algerian military was prepared to “meet all its responsibilities”. "There are parties who wish to bring Algeria back to the years of violence," he said. "A people that defeated terrorism knows how to preserve the stability and security of its nation,” the chief of staff warned. Djallel Bougerra, professor of political science in Constantine University, explained why the rationale behind the delayed military intervention to TRT World. By the ruling elite, he does not mean the President, but rather Le Pouvoir, referring to the popular name for Algeria’s shadowy secret elite who allegedly form the country’s deep state. A retired Algerian colonel, once responsible for the country’s weapons manufacturing program, spoke to TRT World on condition of anonymity. When asked if he believed the protests would lead to change, he laughs softly. “Even if Bouteflika’s clique are ripped out, the next ruler has to win the favour of Le Pouvoir,” he says. “There will be no change. The only changes will appease the demands of protestors. The real power will remain,” he adds. The military’s intervention may not be as simple as its leaders make it out to be, however. “Most of the newer officer cadres in the Algerian militaries come from lower or middle classes, and feel the people’s pain,” said Messoud Laarbi, an Algerian political analyst speaking to TRT World. “The military brass knows that it risks divisions inside the military if it asks its officers to turn on the people, especially after instilling in them that their primary role is to uphold the country’s interest and protect its people,” he added. But this does not necessarily prevent intervention. The military’s readiness to intervene however, is a far cry from the stance it took at the beginning of Algeria’s political crisis. 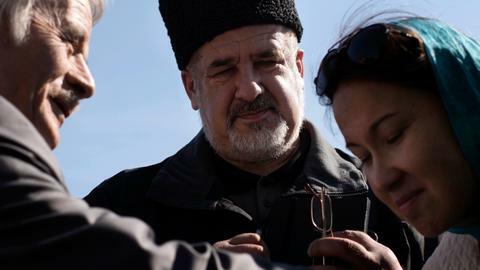 In July 2018, the military fired back at the idea of intervention when Abderrezak Makri, Leader of the Movement of Society for Peace, Algeria’s foremost Islamist party, appealed to the military to “resolve the country’s crisis”, and make way for a “democratic transition”. "It is sad, and even strange, illogical and intolerable to see that certain people and parties on the eve of elections deliberately remove themselves from the political process," responded Salah. There was irony in the appeal, given that it was the army’s coup d’etat against the Islamic coalition victory in the 90s that triggered the brutal civil war the would come to be known as the Black Decade. Rachid Benyelles, former admiral, general, and secretary general for the department of defence, as well as a minister under former Algerian Chadli Bendjedid, writes in his memoirs Dans les arcanes du pouvoir, in Algiers in May 2017, just how much Algerian politics has changed. "Boumediene [Algeria’s first president] never involved the army in decision-making. 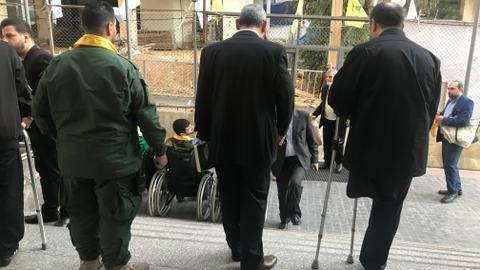 He even prohibited politicians from approaching the military." He leaves unmentioned, however, Boumediene’s position as commander-in-chief of the Algerian revolutionary forces itself. The retired Algerian colonel emphasises one point here. Regardless of the stance they take, their role in deciding Algeria’s fate can hardly be understated. An active military intelligence officer, speaking to TRT World anonymously for fear of reprisals criticises the notion that the military is all-powerful in the country. When asked where the Algerian National Army actually stands, he makes a case for the army as a force for good. In June 2018, retired general Khaled Nezzar, spoke at the release of his memoirs, reflecting: "We were drawn into politics in spite of ourselves." With half of Algeria’s population under 28 years of age, the coming weeks may see a clash between youth with renewed dreams of democratic governance and a blank slate for the country, and a battle-honed military that will seek to preserve as much as possible of the status quo, rooted in the belief that it stands guard over the bloody fruits of the Algerian revolution. Editor's note: this article was upated after the Algerian army called for Bouteflika to be declared unfit to rule on 26/03/2019.